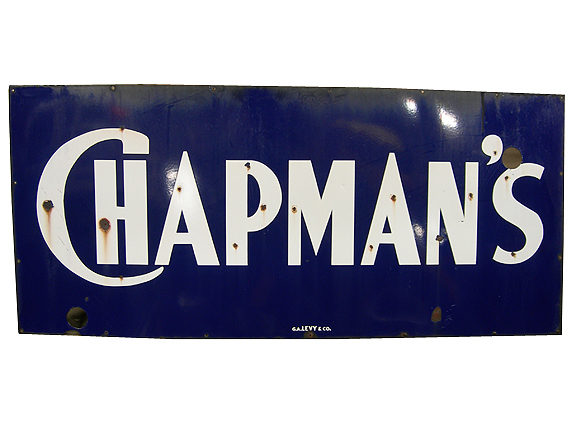 description: Two porcelain enameled face plates that originally hung over the top of a Pevely Ice Cream Sign, thus creating the can for this sign. information: These two porcelain enameled sign halves were originally from an East St. Louis Ice Cream Parlor. The two halves were mounted over the top of a Pevely Ice Cream Sign, however the "Ice Cream" portion of the sign was still visible.